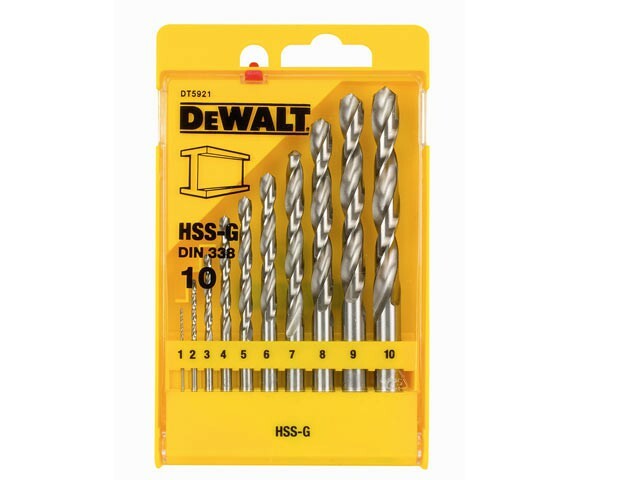 These DEWALT metal drillbit sets contain drillbits suitable for portable or stationary drilling of steel, alloyed and non alloyed up to 900N/mm. They are particularly suited to drilling sheet or thin materials where accurate burr free holes are required and very effective when working with wood and plastic materials. The patented split pilot point design eliminates walking/slipping on contact.